Description: Game developed in 16 hours for the talendum gamejam 2018. 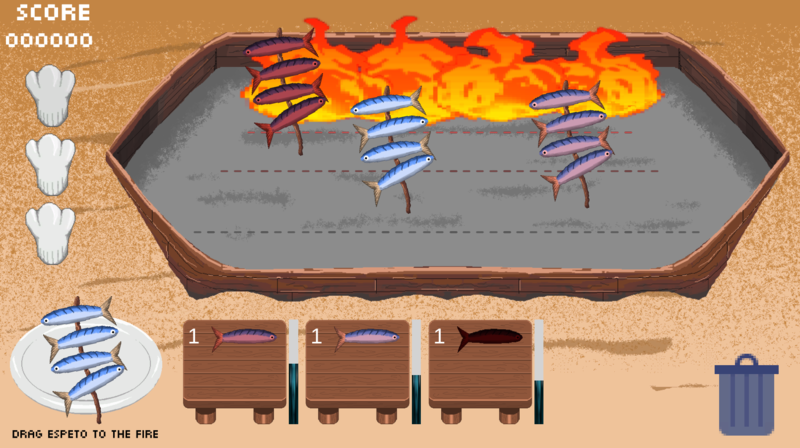 You are a Espetero, take care with the sardinas and don't burn them all! Drag and Drop, drag the Espeto close to the fire and when is done, move it to the tables.